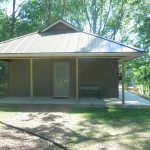 After nine months of living and working in the midst of a construction zone, renovations to the cabins, Sandhill Lodge, and Cottonwood Center/Chapel, are complete! 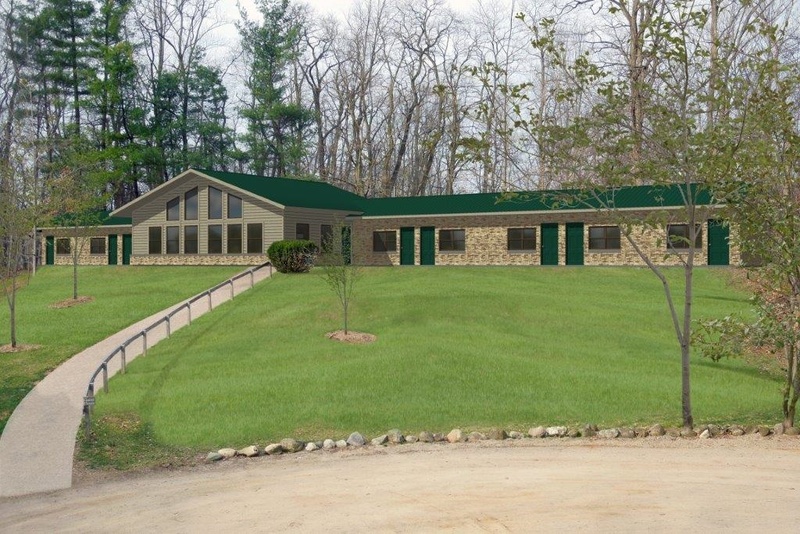 In fact, they’ve already been broken in by a summer’s worth of campers, families, and church groups. 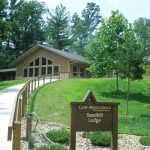 A rainy evening’s campfire took place in the Chapel; summer staff settled into Sandhill to work and rest; and for over nine weeks, the cabins housed campers. We are grateful for the good work of DJ Construction, who completed the updates in time for the busy summer season. 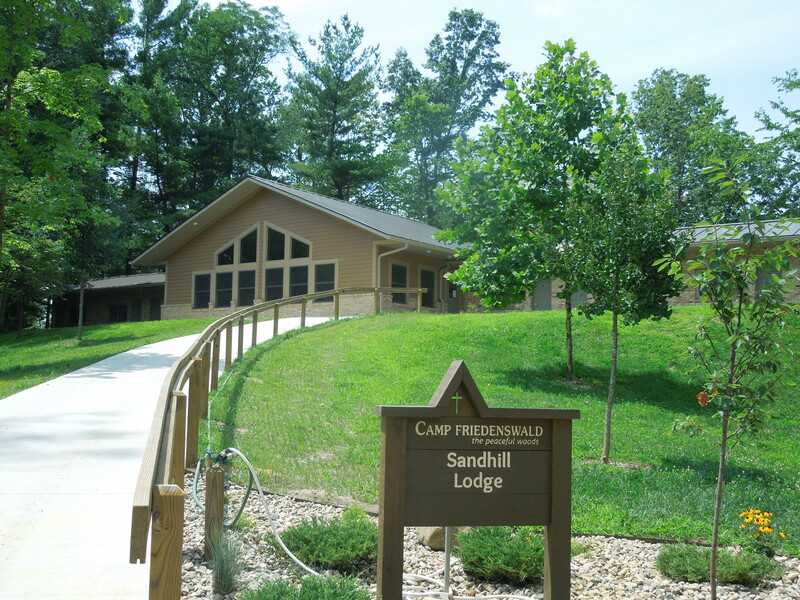 Most especially, we are thankful for Camp’s Builders who enabled the vision for Renew Friedenswald to become a reality through financial gifts, labor, and prayers. 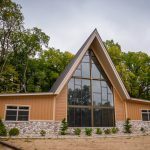 On July 15, over 150 people gathered to celebrate and dedicate the renewed facilities “to the Glory of God,” as was first done in 1950 when the cornerstone was laid in Cabin 8. 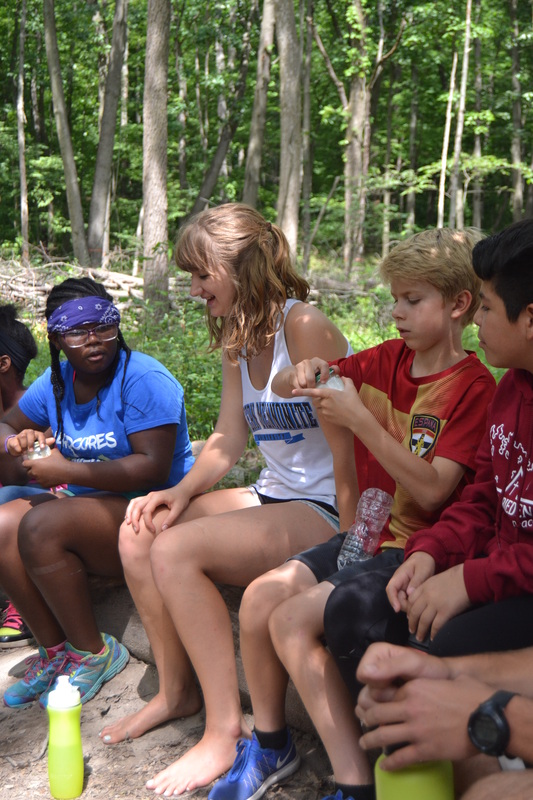 A part of the annual Builders’ Weekend Celebration, the service brought together people from across camp’s constituency and history. 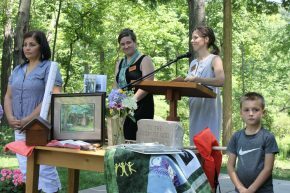 During a litany of praise, representatives of camp’s vision, congregations, staff, campers, and Builders, among others, stood in recognition of the many people who have been, and will continue to be, vital to Camp’s ministry. Anita Rediger, pastor at Emmaus Road Mennonite Fellowship (Berne, IN), and board member, shared words of dedication. The following is an excerpt from the dedication. In the dedication of these lively spaces we lay aside weather worn -beams for fresh fibers, for strong steel and crisp concrete. We release tired old walls from the weight of their burdens; replacing them with straight, sturdy timbers. Dim, clouded windows have opened way for bright clear panes – welcoming the passing clouds, the winging bird, the falling leaves. 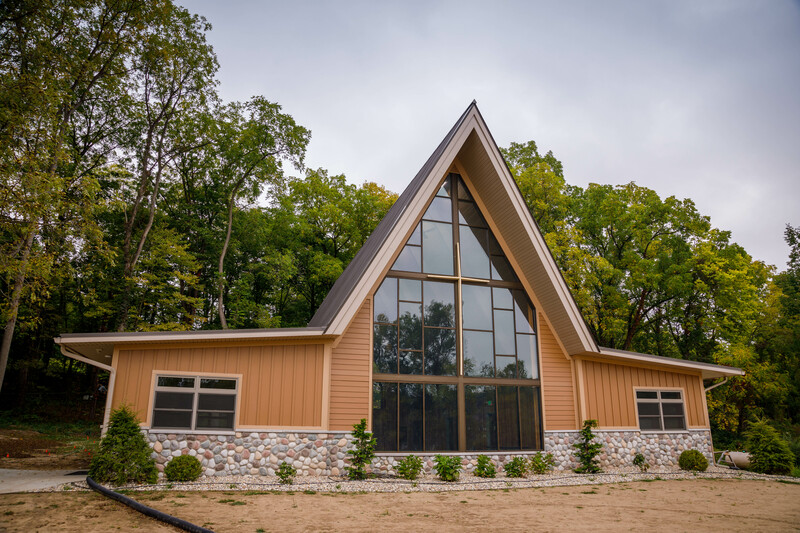 In the naming of these renewed spaces we will speak daily of the creatures with whom we share Camp – the cottonwoods, the cranes and the lake. May every door open in welcome for each one who reaches its frame, may each threshold invite young and old into a safe space for rest, for fun, for fruitful fellowship, for enduring friendships. May the cool waters of Shavehead Lake offer a refreshing view at dawn and dark. 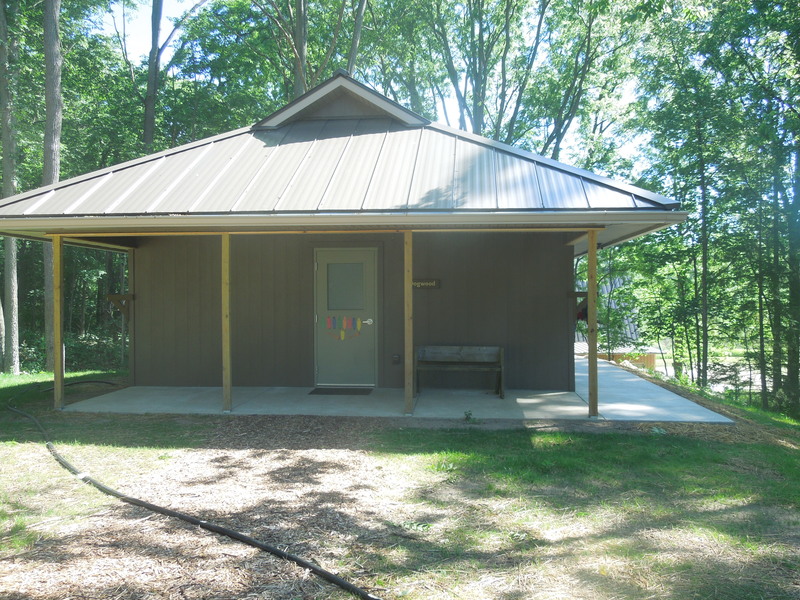 May its rooms offer respite for summer staff, retreat for solitary pilgrims, re-connection for re-unioning families. May the worship and conversation spoken there be filled with the wisdom of the Creator of the ancient and steadfast Sandhill Crane. 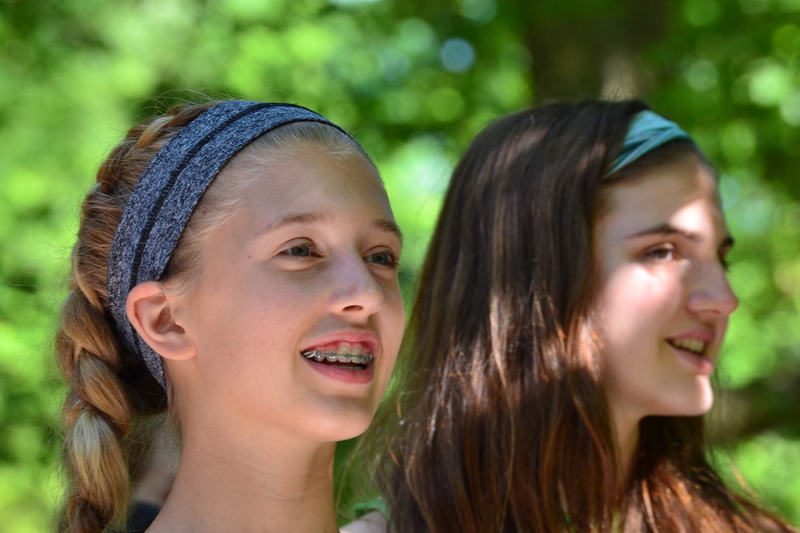 Nestled in this cottonwood grove for 60 years, may its vaulting spaces continue to ring with the sounds of worship – the songs of celebration and words of new beginnings. May its fresh walls ring with laughter of retreats and tend tears of heartfelt leave-takings. May simmering crock-pots invite comfortable conversation in the light of the cross. Amen! We praise your name, O God!